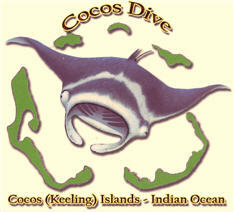 Cocos Dive is proud to introduce a new product for visitors to Cocos (Keeling) Islands. In additional to our world class scuba diving we now offer Sea Scooter Tours for snorkellers. 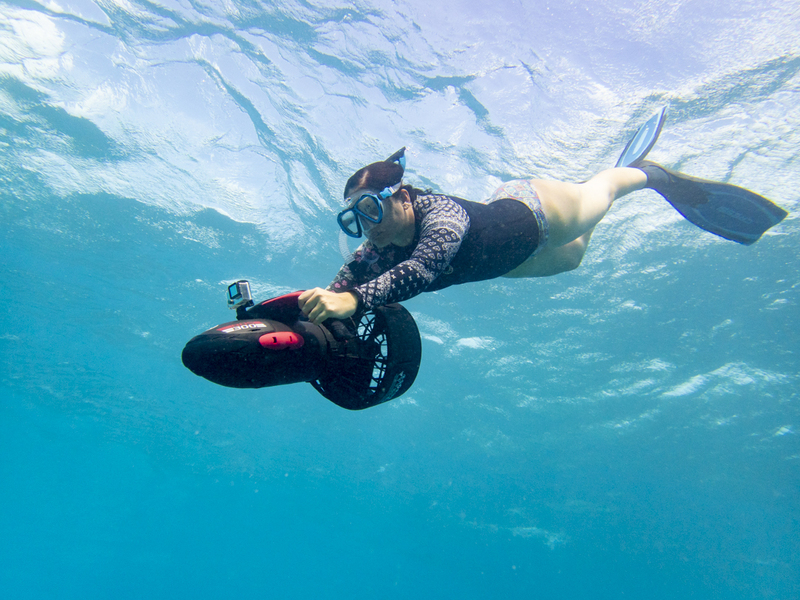 Enjoy the wonders of the reef while you glide along with a Cocos Dive Yamaha Sea Scooter Tour. Scuba Diving. 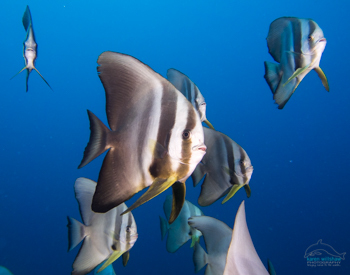 Cocos Dive will take you diving in a five-star underwater environment to enjoy the pristine and diverse marine life of the Cocos Keeling Islands. 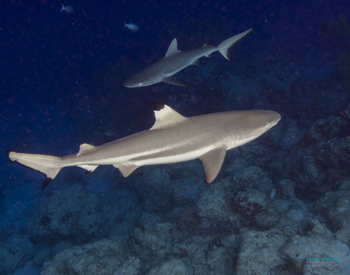 The Cocos underwater world is a photographer's paradise. 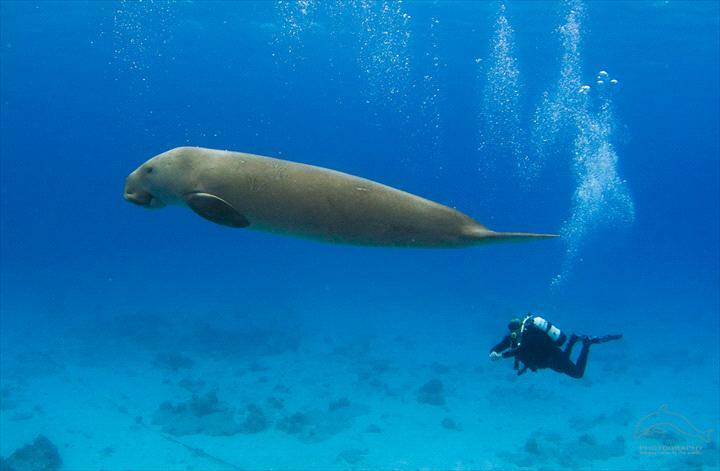 Experience a close encounter with Kat the dugong, who has been a permanent resident in the islands for more than eight years, then watch graceful mantas and be entertained by curious dolphins and turtles. 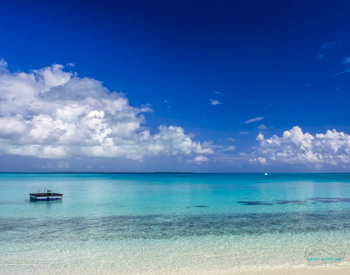 Cocos Dive has been operating with the same owners since 1993 offering divers a relaxed and safe diving experience. To avoid disappointment scuba diving should be booked prior to travelling. Group packages available. NOTE: If you are booking diving for just 1 diver please make contact by email PRIOR to making your booking and travel arrangements. For instant confirmation you should be booking a minimum of 2 divers. Single diver bookings may be possible subject to other divers pre booked for same day. We welcome single diver bookings that will be "on request" with response within 24 hours. 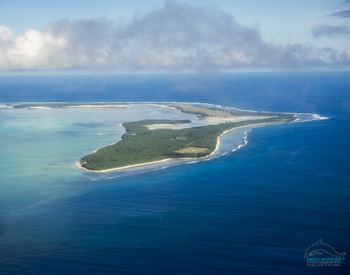 We will be at the Cocos Islands airport to meet the Virgin Australia flight arrival. If we miss you ask your accommodation provider to advise your room number. 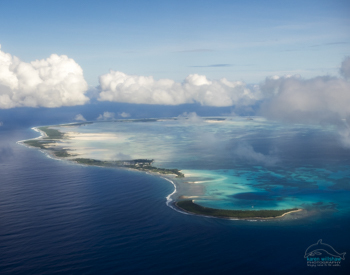 Cocos Dive reserves the right to cancel booked tours due to adverse weather conditions. All divers will be required to provide proof of diving qualification and to sign a waiver declaration. Divers are required to adhere to safe diving practices and to follow all diving instructions and dive briefs provided by the boat crew and dive supervisor. If a dive day is cancelled due weather the tour will be rescheduled. Refunds will be at the discretion of Cocos Dive. Cancellation within 30 days of arrival will result in a 100%loss. As a remote destination we recommend travel insurance to cover any and all unforeseen circumstances. Scuba Package including 4 days guided scuba diving for Open Water qualified divers, commencing from the first booking day selected. Hint: Select the first day after arrival, additional 3 diving days / dates will be confirmed by the operator (subject to availability). 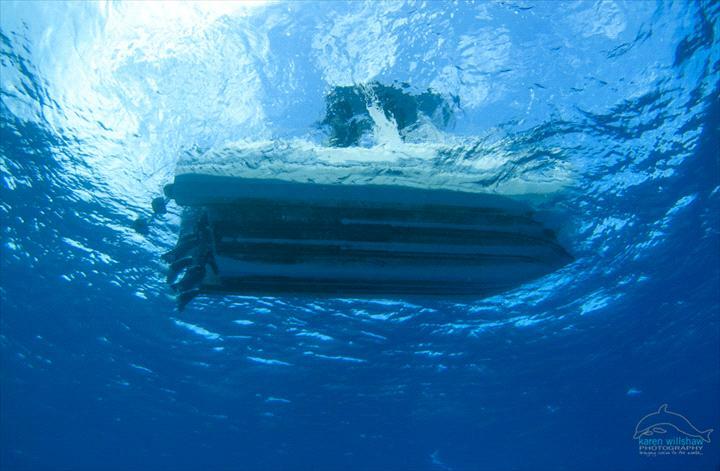 Includes: 2 guided boat dives / day x 4 days = 8 dives, use of cylinders & weights, all air fills. Generous lunch and surface interval break usually enjoyed on Direction Island. NB Requires a minimum of 2 divers to proceed. This discount rate only applies if booking a minimum of 4 days diving per diver. Booking subject to availability and a minimum of 2 divers for each diving day. This tour for Cocos Dive Internal use only. You should not be able to see anything here, however our service provider has a bug in their system. Please select your diving day or package from one of our other tours. Thank you for your understanding. Cheers Dieter, Karen & the Visitor Centre team. One day of guided scuba diving for Open Water qualified divers. Includes: 2 guided boat dives, use of cylinders & weights, all air fills, scuba hardware included if required. Generous lunch and surface interval break usually enjoyed on Direction Island. 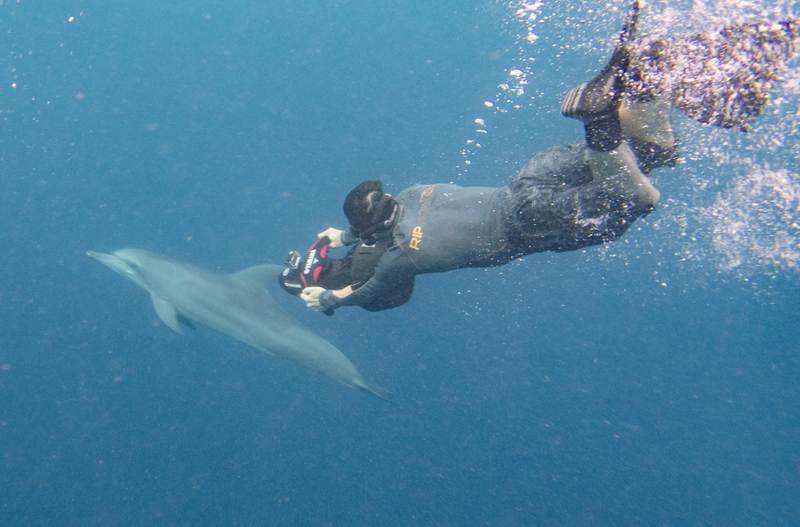 Booking subject to availability and a minimum of at least 1 additional diver already confirmed for same date. 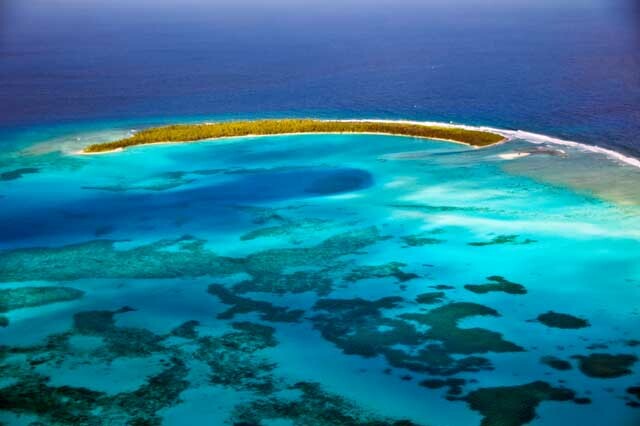 Full day tour that includes a boat trip across the lagoon and a guided snorkel at the world famous "Rip." Learn the basics of your Yamaha Sea Scooter, then head out for an adventure exploring the protected reefs within the lagoon on the Eastern side of Southern atoll. Subject to suitable conditions we have the option of a snorkel at The Cabbage Patch , the wreck of the Phaeton & a visit to historic Prison Island. Expect to see a variety of marine life including fish, corals, perhaps even turtles and small reef sharks. You may even be fortunate and get the opportunity to scooter with mantas, dolphins if lucky perhaps even our resident dugong affectionately know as "Kat" This is a boat and lagoon based tour suitable for 12 year old and above who are comfortable with mask, snorkel, fins and the possibility of some deeper reefs. We will collect you from your accommodation using information supplied on your booking form. Guests need to be comfortable in the water and able to use mask and snorkel. 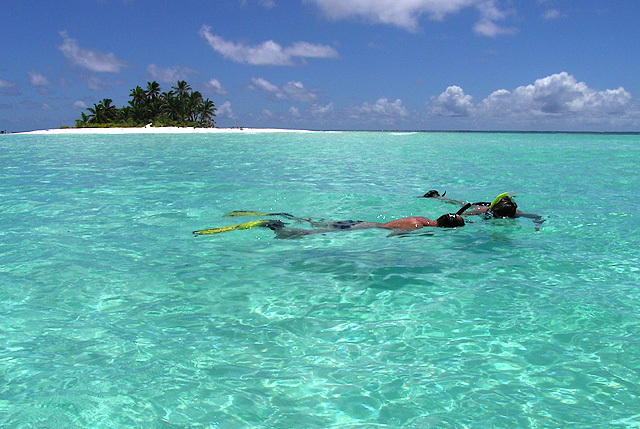 Half day tour that includes a boat trip across the lagoon and a guided snorkel at the world famous "Rip." Learn the basics of your Yamaha Sea Scooter, then head out for an adventure exploring the protected reefs within the lagoon on the Eastern side of Southern atoll. Expect to see a variety of marine life including fish, corals, perhaps even turtles and small reef sharks. 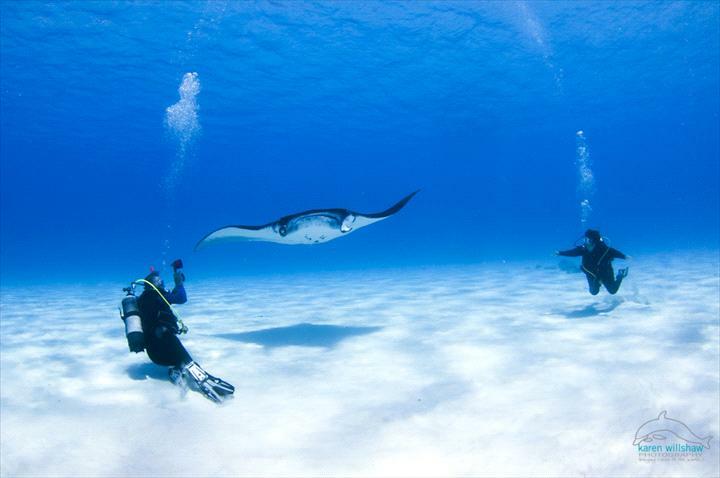 You may even be fortunate and get the opportunity to scooter with mantas and dolphins. This is a boat and lagoon based tour suitable for 12 year old and above who are comfortable with mask, snorkel, fins and the possibility of some deeper reefs. Come and explore the reefs of West Island under the guidance of an experienced Instructor or Divemaster. Glide along with a Yamaha Sea Scooter. 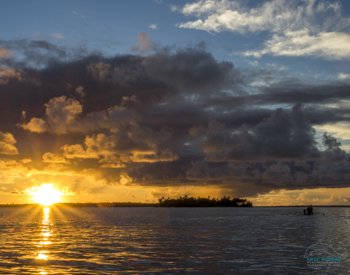 Expect to see a variety of marine life including fish, corals, perhaps even turtles and baby black tip reef sharks. Look closely and you may locate moray eels, hermit crabs & friendly octopus. Cheeky Picasso trigger fish are always a delight to observe. This is a West Island based tour suitable for 12 year old and above who are comfortable with mask and snorkel in shallow water. We will collect you from your accommodation, or if you have your own transport meet at confirmed location. Guests need to be comfortable in the water and able to use mask and snorkel. Start and finish time may need some adjustment to match the expected tide. This will be confirmed to you when booking or by 6pm on day prior to your tour.